Have peace of mind that your furnace and air conditioning equipment is operating at peak performance year round with a service agreement. Plans start at $175 per year! No extra expenses to you for 25 years from the date your furnace was installed with a 25 year furnace warranty. You depend on your heating, cooling, plumbing and electrical systems to meet the needs of your family and home. 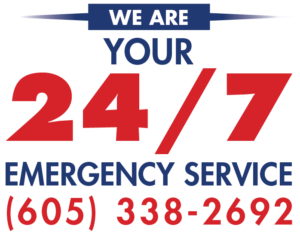 That is why, at Waterbury, we are ready to assist you in all your heating, cooling, plumbing and electrical needs. Whether you need a new furnace, air conditioner or water heater or just need someone to repair your current units, Waterbury has got you covered. Since 1950, Waterbury has provided exceptional heating and cooling, plumbing, electrical and duct cleaning services to the Sioux Falls area. At Waterbury, it is our mission to make sure your service and installation needs are exceeded. We are aready to assist you in all your heating, cooling, plumbing, and electrical needs. We are proud to offer financing. We want to make sure you get the best deal along with the best service in Sioux Falls. With Waterbury Heating & Cooling, you’ll get prompt & reliable service. We want to make it as easy as possible to schedule an appointment for any of the services we provide. Interested in learning more about us? We're happy to answer any questions you may have.